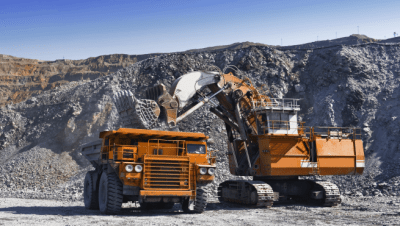 No fewer than 200 Chinese mining companies have declared interest to invest in Nigeria's mining sector, the News Agency of Nigeria (NAN) reports. NAN gathered that the Minister of State in the Ministry of Mines and Steel Development, Bawa Abubakar in September, led Nigeria's delegation to the China Mining Conference in China. During the conference, Nigeria and China organised the second Cino-Nigeria Summit to showcase Nigeria's mineral potentials. A competent source at the ministry told NAN that "we got this huge number of investors through a website set up as Cino-Nigeria Finance Alliance Group during the summit".
" The first edition of Cino-Nigeria investment cooperation started last year in china but the 2017 edition was a huge success for Nigeria because of the large number of investors that declared interest to invest in the Nigeria mining sector," the source said. It said that the feat was also part of the ministry's strategies to promote the mineral potentials of the country and further create employment for the population. The strategies are also designed to ensure that the mining road-map is adequately implemented to contribute five to 10 per cent to the Gross Domestic Product (GDP) of the country.